Pristine preowned mens Rolex Datejust (ref. 116231) in stainless steel with 18k rose gold fluted bezel and rose roman dial features an Oyster bracelet. Comes with its box and papers as shown. We are a family owned brick and mortar Jewelry Store specializing in fine new and pre-owned jewelry and watches. 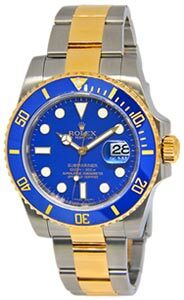 Each of our pre-owned watches is fully checked, serviced, and detailed. All items guaranteed authentic. Fantastic product and very quick shipping. Thank you! Jewels In Time is always interested in purchasing fine watches, jewelry, diamond solitaires, pearls, clocks, silver and gold. We offer competitive prices and many different payment options. We have a full staff to help you, including GIA graduated Gemologists and Certified watchmakers. We here at Jewels In Time take great pride in our watches and jewelry, whether we are buying, selling or trading, you will have the satisfaction of knowing that you are dealing with a trained staff that has the experience to assist you with your needs. We have a huge selection of estate jewelry and watches, so please feel free to visit our store, and if you think you have any pieces of your own bring them by for a free evaluation. Soon as your payment is confirmed, your order will be shipped. We do not ship to Malaysia or Indonesia. We will gladly accept returns ONLY if the product does not match our description in the offering.